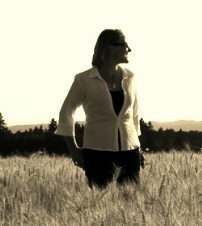 What made 2010 a special vintage in the Willamette Valley? I think that 2010 will prove to be a very special vintage for the northern Willamette Valley in particular. The summer was fairly mild and we had a long lovely Indian summer. The early weeks of October were surprisingly dry and warm allowing us to let the fruit hang until the tannin ripeness was in balance with the sugar ripeness. These conditions lead to flavor development that was strong, clear, clean and complex. For the 2010 Pinot Noir Blanc we were able to pick the grapes with ripe skins but not overly high sugar content so there is no bitterness. That can be a big risk when making a white wine, which you want to be very crisp and bright, from red grapes. Our big excitement for the 2010 vintage was being selected and invited to participate in the 2012 IPNC. The wine we submitted to the panel was our 2010 Bayliss-Bower Vineyard Pinot Noir. 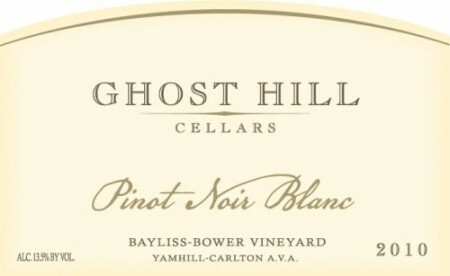 Was there anything particular that made it a special vintage for Ghost Hill Cellars? Of course, it was the first vintage that we made a white wine! We also doubled our production from the introduction of the Pinot Noir Blanc. This increase has opened a lot of doors for us with restaurants, distributors, and importers in other countries. Because we have more volume we are able to spread out our wines into many new markets, which has been very exciting for us. Our wines will be available next month in the Alberta province of Canada. What lead you to make a Pinot Noir blanc instead of a traditional Pinot Noir out of this wine? We have just over five acres of Dijon Clone 115 planted in the vineyard. 2010 was the 4th leaf from this planting. We knew that we would have fruit, but we were not sure that the quality of the fruit would be what we would want for our regular Pinot Noir production. So making a white wine from these young vines was a great way to use the fruit and not jeopardize our brand and quality levels for the Pinot Noir. It was also the only way for us to add a white wine to our lineup. GHC is licensed as a “Growers Sales Privilege” with the Oregon Liquor Control Commission (OLCC). What this means is that we can only have wine made for us by a winery licensee (in this case I make the wines for GHC under contract through Trappist Abbey Wines) and only from grapes the Bayliss family grows themselves. Since the vineyard is 100% Pinot Noir this was the only white wine we could make. It turned out to be a very good idea. Absolutely! In fact, this was the first white wine I ever made. I learned a ton because the whole experience was new and I was basically working off of notes taken during a conversation with another local winemaker (who I think is the most talented white wine maker in Oregon frankly). We approached it like an experiment and tried to follow the “plan” as closely as possible. 2010 laid a great foundation and we learned things that we were able to use to make small adjustments to 2011 that I think would make that wine even better than 2010. Do you have plans to make another Pinot Noir blanc in 2011? Yes, we did another PNB for 2011. We should have about another 400 cases when we bottle it in April. That you NEVER ever stop learning. You are always “becoming” a winemaker. If you stop looking at it that way you miss opportunities and lessons that can make you better at what you do. Oh … and you better love what you’re doing! My goal every year going in to harvest is to make wine that was better than the year before. I hope to always achieve progress in a positive direction.